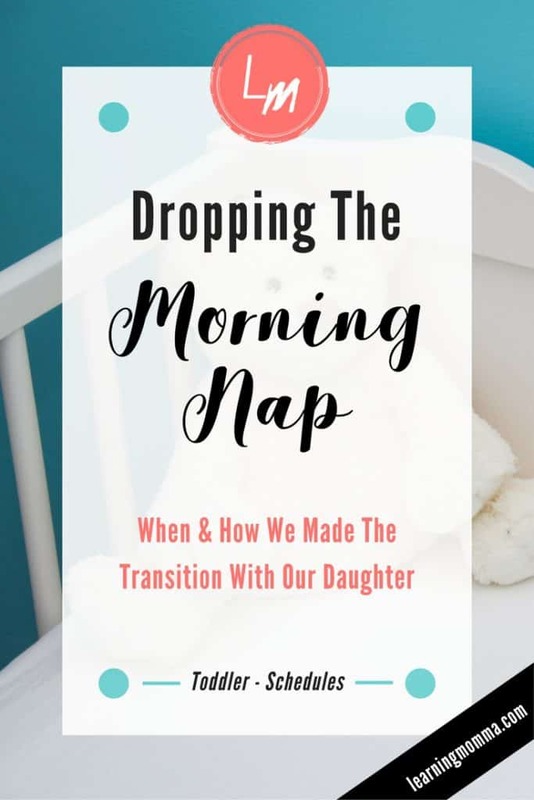 I did quite a bit of research as to when children are ready to drop the morning nap as we hit different sleeping phases with our daughter Ellie. Most of the resources seemed to suggest that this transition occurs between the ages of 14-18 months. It may seem a little bit backwards, but I suspected that our daughter was ready to drop her morning nap when she started to reject her afternoon nap. It was not when she started to refuse her morning nap – she actually never did! In fact, Ellie began to sleep even longer and more soundly in the mornings as we approached her nap transition. Instead she began to talk through (with some fussing) most of her afternoon naps. This made her miserably tired and extremely irritable by late evening and lead to many frustrating afternoons of trying to coax her to rest. Since Ellie was just over 14 months old I suspected that she might be ready to make the transition to one nap each day. I decided try eliminating her morning nap to see if it would straighten out the afternoon nap and her evening temperament. Sure enough, once we cut the morning nap her sleep fell back into a good and predictable rhythm! 1. 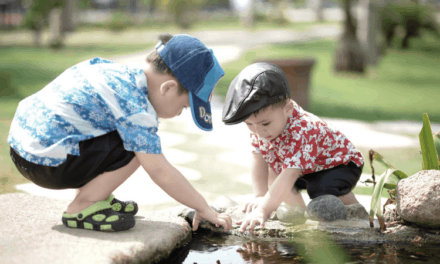 See whether your child’s age falls within the expected range to drop the nap. If your child is close to 14-18 months then it’s likely any signs you’re seeing may be signs that your child is ready to drop the nap. If your child is much younger than 14 months I would be cautious to assume any signs you’re seeing are truly signs that your child is ready for the transition to one nap. 2. Give it a week or two to be sure that your child’s signs are consistent. This was some extremely helpful advice given to me by some more experienced mothers. Ellie had some nap struggles in phases prior to one year old where I questioned early whether it was time to drop to one nap. It would have been a huge mistake! With the help of this advice, I waited a couple weeks to see if the signs I thought I was seeing continued at Ellie’s younger ages. 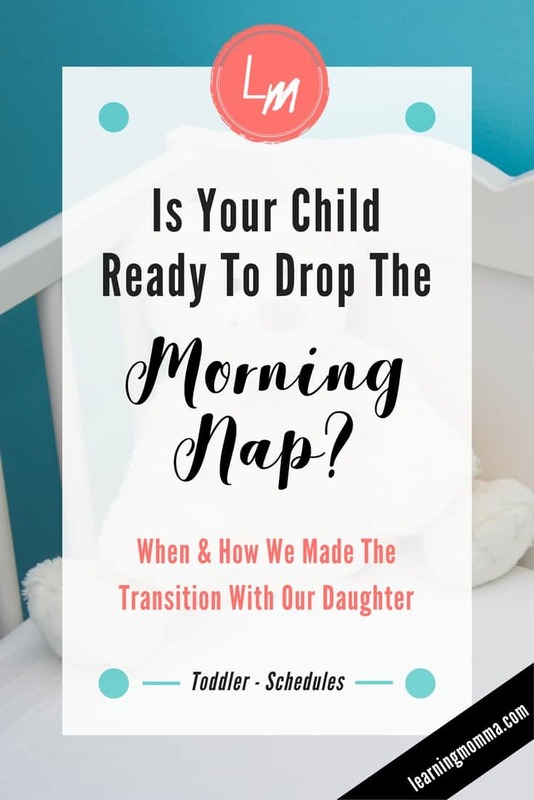 When she slid back into her usual nap routine for the morning and afternoon within that time period I knew she wasn’t ready to transition and we had simply hit a speed bump in her sleeping habits for a few days. Our daughter was 14 and a half months old when she started talking through her afternoon nap and I suspected it was time to make a change to her sleep schedule. I read other blogs and resources that talked about different approaches to dropping the morning nap (ie. slowly weaning, cold turkey, etc) to evaluate how to best move Ellie to a schedule with only one nap. So how did we transition our daughter to one nap a day? I was surprised to find that Ellie was able to make a very easy transition to one nap by simply dropping the morning one and moving the afternoon nap an hour earlier. I decided since this approach was easiest that I would try it first, and it worked wonderfully! Ellie acted a little bit more tired in the mornings, but she was still very pleasant and started taking sound three hour afternoon naps that got her contentedly through the evenings. I grieved the loss of the morning nap since I was in the first trimester with our second child and quite sick, but Ellie’s lengthened afternoon nap still gave me some much needed rest and ultimately she was easier to manage and happier after the transition. Without a morning nap there is also a new freedom to run errands or enjoy activities with Ellie in the mornings and not disrupt her precious sleep. If you are in the midst of transitioning your child down to one nap a day I hope that the knowledge of our experience is helpful to you. 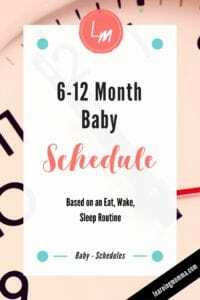 If your child is not quite ready to make the transition to one nap you can read about Ellie’s schedule prior to her nap transition here. If you found this post helpful please share on Pinterest or Facebook to help me grow my blog and reach other mothers! I appreciate your readership and support. NextMountain Theme Baby Shower Printables – Baby Shower Bingo & More! 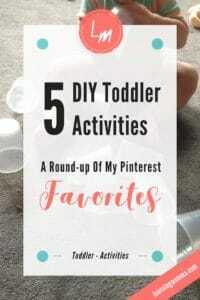 Spring Activities For Toddlers – Things You Can Do At Home! 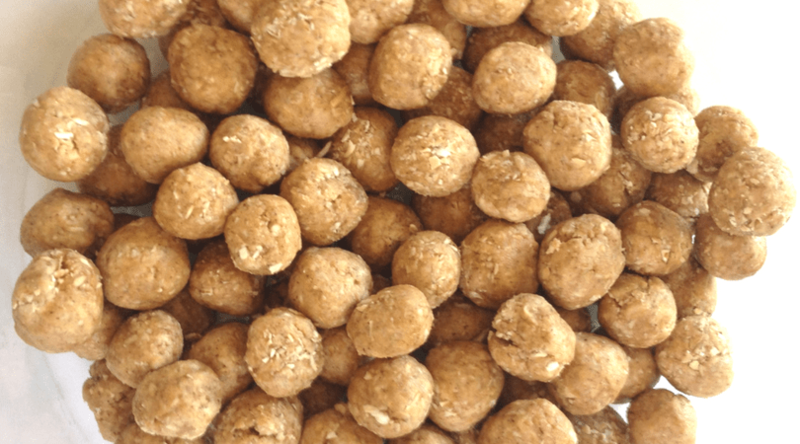 No Bake Toddler Oatmeal Bites – Just 4 Simple Ingredients!